"There's no spring on the Cape!" That's what my father has always said. The ocean surrounding Cape Cod takes her sweet time warming up, leaving the residents here wondering when we will finally be able to pack away our winter woolens. Tell that to the snow drops and daffodils that have recently pushed themselves through the dirt, threatening to grace us with their hopeful presence. They are early this year. The sun is shining on most mornings now but the wind is still chilly when it blows down the back of my neck and makes my eyes water. I'm glad February is finally behind us. The shortest, yet mentally, the longest month of year. There is no tie-in to this delightful confection. 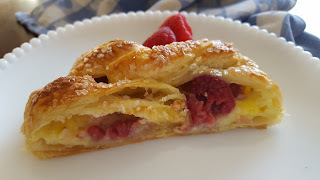 Only that pastry cream has been on my mind and I saw something similar on a fancy cooking show. 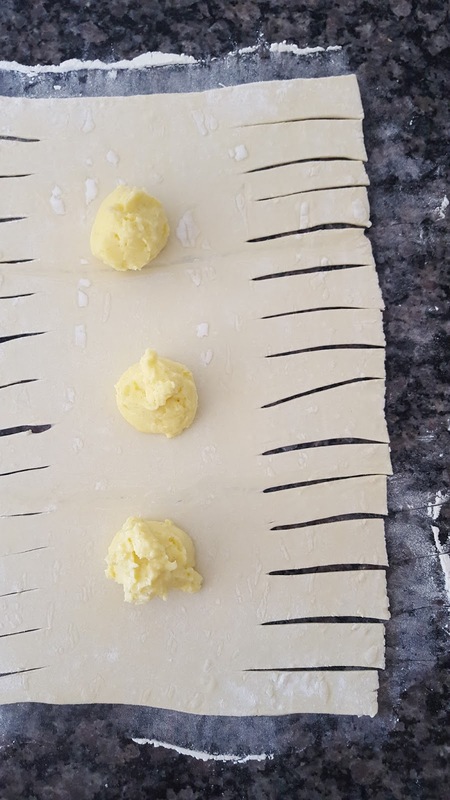 I'm using puff pastry instead of making my own croissant dough like the chef on t.v. did. Because, while I love to bake and create in the kitchen, I have the rest of my life to lead: working, driving to soccer and ballet, grocery shopping, vacuuming, etc. You know, the exciting stuff. So, I deserve a break with a hot cup of tea and big slice of yum, don't you agree? Thaw puff pastry. 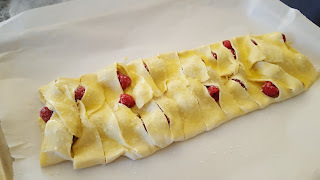 Using a small amount of flour to keep it from sticking, roll out into a larger rectangle approximately 12" by 16". With a sharp knife cut horizontal 3" slits into each side, leaving about 1" between each one. 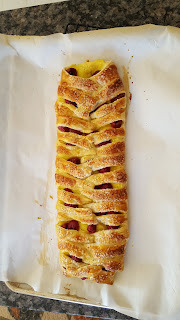 (Be sure to leave enough space down the center of the dough for the filling.) Dollop pastry cream down the center of the puff pastry and spread with a frosting knife. 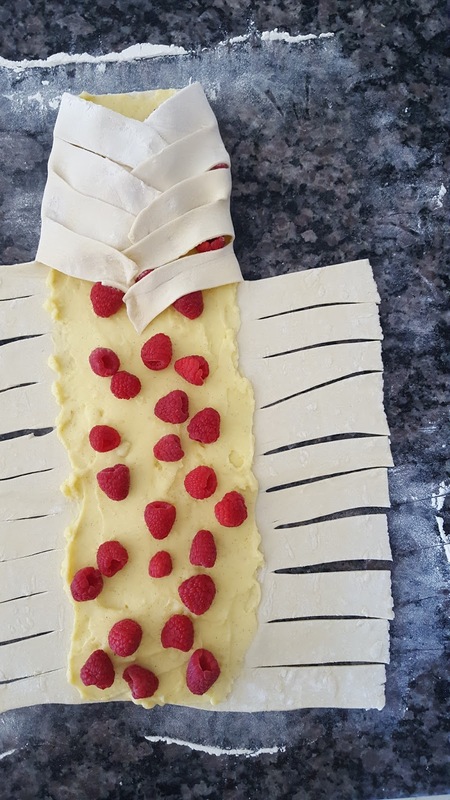 Sprinkle raspberries over pastry cream. To create braid, take one strip from the left side and fold it over the filling, angling it slightly downward. Take a strip from the right and angle it down and overlap the left. Continue until all strips of pastry are braided. Gently lift braid using two spatulas and place on a parchment lined baking sheet. 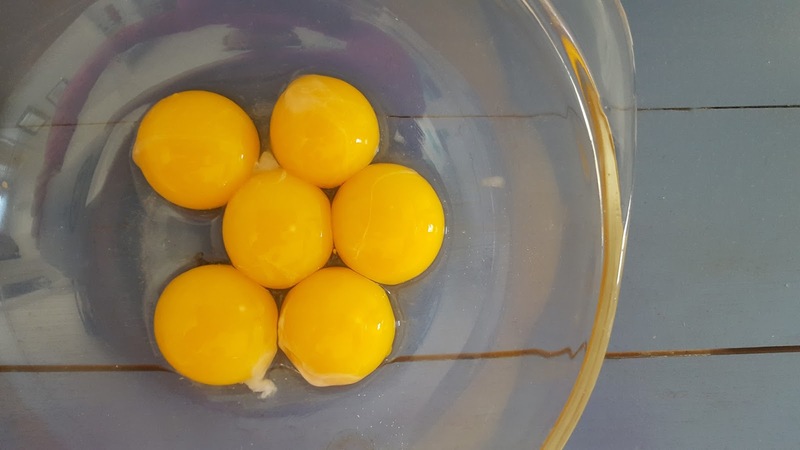 Create an egg wash by beating the egg with water. 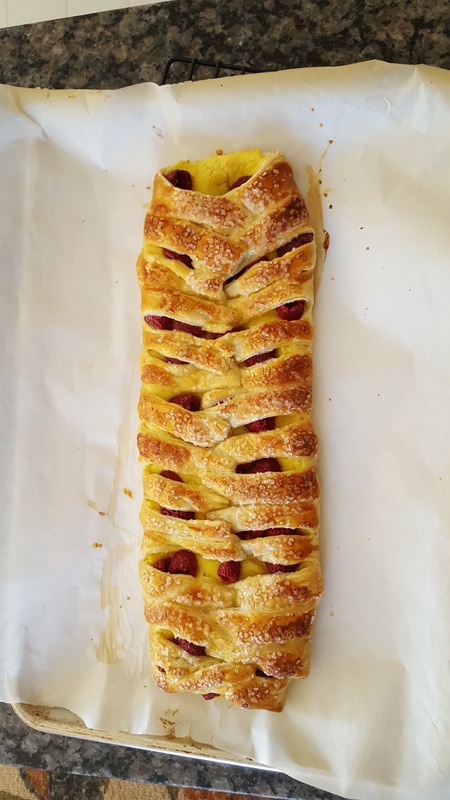 Brush over the entire braid and sprinkle with turbinado sugar. Bake for 25-30 minutes or until pastry is golden brown. Remove from oven. 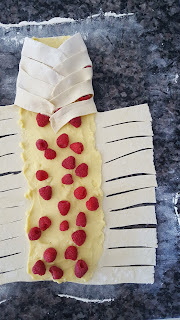 Slide parchment onto a cooling rack and allow braid to cool before slicing and serving. Whisk the egg yolks with the sugar until light and thick, then whisk in the cornstarch. Split the vanilla bean in half and scrape out the seeds, using the back of a knife. 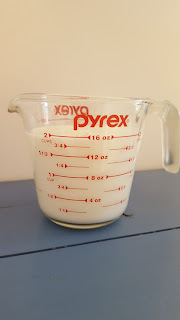 Add the vanilla bean and seeds to the milk . Bring the milk to a boil and switch off the heat. 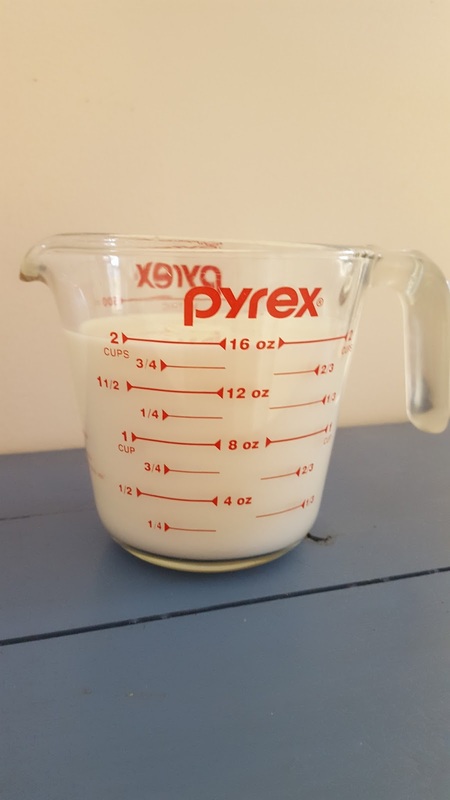 Remove the vanilla bean and pour the milk in a slow stream onto the egg mixture, whisking vigorously all the time. 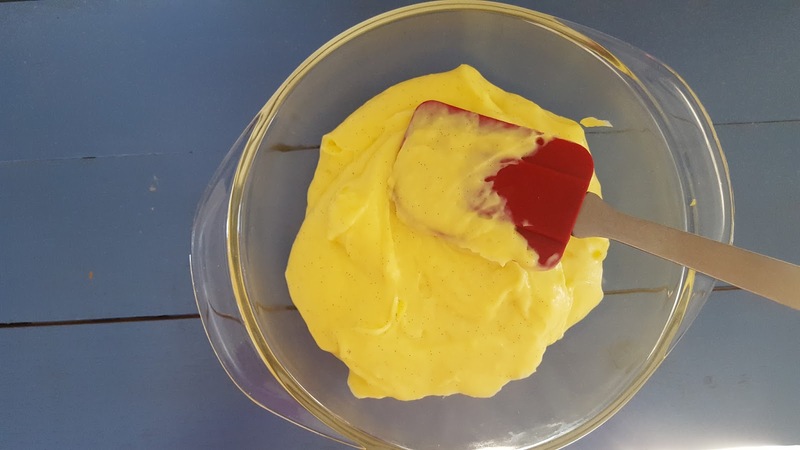 Return the mixture to a clean pot and continuously whisk over a medium heat. Make sure to scrape the sides and the bottom, otherwise it will burn. The cream will start to thicken. Once it releases a bubble or two, take it off the heat. Pour into a heat proof bowl and cover with plastic wrap directly onto the cream. Refrigerate for at least an hour before using.